Help shape the future of steel by entering AISC's first-ever Future of Steel competition! Entries are due on October 1 and will be posted on AISC's Facebook page. Modern Steel has the competition details. Check out these facts from the world's most amazing construction projects, including the most expensive, longest standing, and a few projects gone bad. See the infographic on Rock & Dirt. When the new portion of San Francisco's Bay Bridge opens this fall, it will be the world's longest self-anchored suspension bridge, at 2,047 feet. See why it's supposed to last 150 years, even with frequent earthquakes. Popular Mechanics has the story. The Western Hemisphere has a new tallest building! 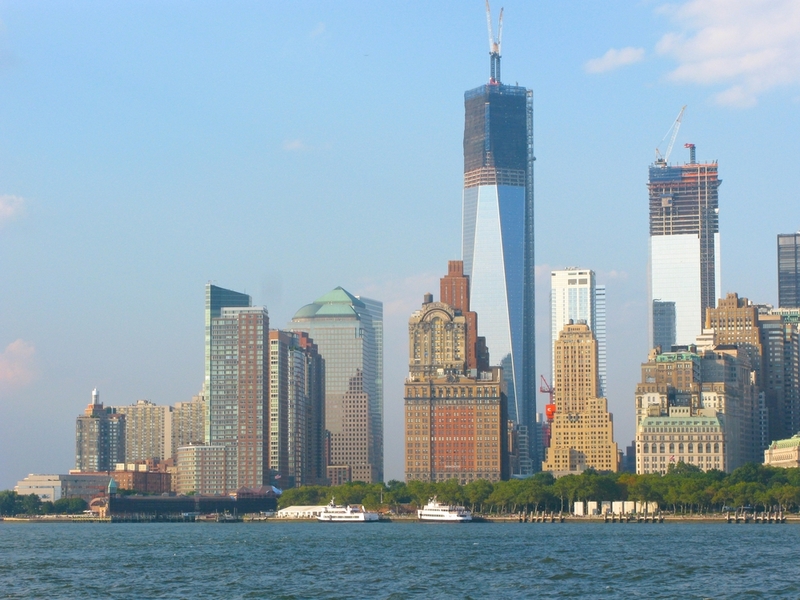 1 World Trade Center's 758-ton spire was fully installed today in New York City. Read about it on Huffington Post. Design Data partner AGA recently named the winners of its 2013 Excellence in Hot-Dip Galvanizing Awards. Read more on our blog!